Walmart is among the largest retailers in the country, and it is known for providing shoppers with a one-stop shopping experience for almost every need. 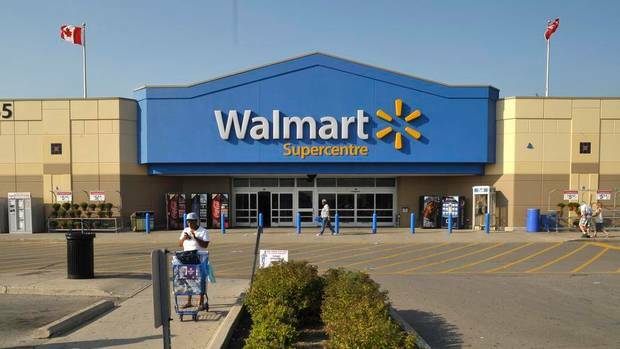 Walmart or Super Walmart stores are located in many major and smaller towns throughout the country, making this a convenient place to shop. At Walmart, shoppers can find products like toiletries and cosmetics, toys, books, sporting goods, video games and more. 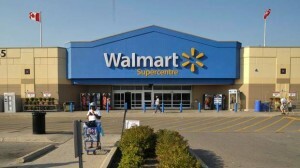 Super Walmart stores also feature a full range of grocery stores. In addition, there are larger items available for purchase, such as electronics, furnishings and lawn equipment. Shoppers who wish to use the Walmart in-store layaway program can shop as usual to select the merchandise they wish to purchase. The items selected for use with the program must have an individual sales price of at least $15, and the total amount of the items put into the layaway program must equal $50 or more. When a shopper has the items that he or she wishes to place in the layaway program, he or she can simply take those items to the customer service department for assistance establishing a payment plan. Shoppers can use the program to purchase small appliances, furniture, sporting goods, toys, automotive items and other items, but wireless phones are not included in this option. Some sporting goods are not eligible for purchase, and shoppers can obtain more information about this through the customer service department before selecting the items to purchase. At the customer service department, customers will be asked to make a 10 percent down payment on the total purchase price to establish the layaway plan. Customers are permitted to make the remaining payments at their leisure, but the program only runs from September 12 through December 15 this year (the dates vary by year). Jewelry purchases may qualify for a separate layaway program that is available throughout the year. All payments must be made at the same store where they were purchased from, and the final payment must be made by December 15. If payments are not made in full by this time, items will be returned to general store inventory. If the customer wishes to cancel the purchase, all payments except a $10 cancellation fee will be returned to the customer. Typically, all of the items that are purchased under this program are available for pickup at the store location on the day the final payment is made, but there are some exceptions to this rule. In some cases, customers may have to travel to another location to pick up layaway items. Walmart strives to give its valued shoppers a convenient way to make purchases. In addition to providing its customers with everyday low prices, it also offers this unique layaway program seasonally. This is a convenient way to shop now for holiday purchases as well as other items that may be needed around the house or for the car, and shoppers will have several months to make regular payments on the merchandise they need. This program is designed to help customers make large purchases with ease, and shoppers are invited to learn more about the program by speaking with the customer service department before they make a purchase. If you are looking for a convenient and flexible way to purchase items for yourself or gifts for loved ones for the holidays, the in-store layaway program from Walmart is the solution you need. With so many items available for purchase, it is easy to find what you are looking for on store shelve. Plus, the layaway program makes it convenient for you to purchase the items needed.